Online registration for the IMT Des Moines Marathon races is closed at this time. Walk-up registration is available at the Scheels Sports & Fitness Expo located Iowa Events Center - Hall C. Friday, October 19 from 3 to 8 p.m. and Saturday, October 20 from 10 a.m. to 6 p.m.
Family members of the same household - save $5 on each Junior Jog registration. Requires original entry transaction code. Walk-up registration for all races closes Saturday, October 20 at 6 pm. Mercy Live Up Loop athletes will receive a premium Leslie Jordan stadium blanket. One size fits all. BACK BY POPULAR DEMAND! 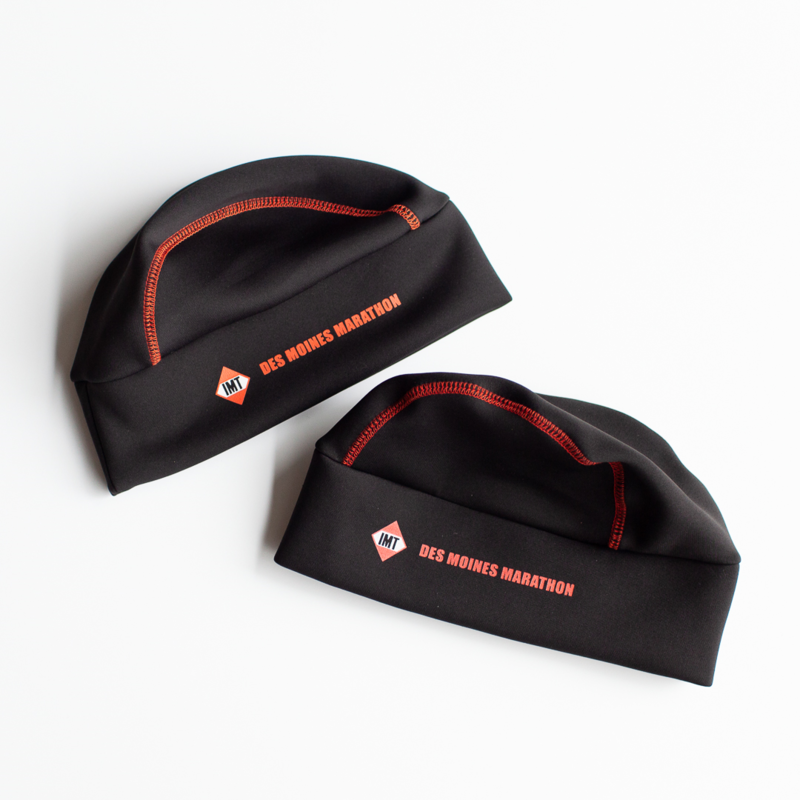 Principal 5K Road Race athletes will receive a Leslie Jordan beanie cap. One size fits all. Bankers Trust Marathon Relay athletes will each receive a premium Leslie Jordan scarf. One size fits all. Take part in the Mercy Live Up Loop 5-Mile Run on Saturday and combine it with your race of choice in the IMT Des Moines Marathon, IMT Des Moines Half Marathon, Bankers Trust Marathon Relay or Principal 5K Road Race on Sunday. Participants in the IMT Des Moines Marathon 5-Mile Combo receive a Mercy Live Up Loop 5-Mile Run stadium blanket and finisher medal on Saturday and their race of choice apparel item and finisher medal on Sunday, as well as an IMT Des Moines Marathon running cap. Both finisher medals combine with one another to highlight your IMT Des Moines Marathon 5-Mile Combo accomplishment in Des Moines. Signing up for the 5-Mile Combo is simple. Look for the 5-Mile Combo race registration category during online registration to sign up for the Mercy Live Up Loop on Saturday and race of choice on Sunday. Or, you can register at this time for your race of choice on Sunday and then come back to register later for the Mercy Live Up Loop if you should decide you want to add the Saturday race and compete both days in Des Moines. The I-35 Challenge is a partnership between the Kansas City Marathon presented by Garmin and the IMT Des Moines Marathon. The two events take place on the same weekend in October - Kansas City on Saturday (10/20) and Des Moines on Sunday (10/21). The goal of the challenge is to complete both races. Register as you normally would for the IMT Des Moines Marathon and then register for the Kansas City Marathon presented by Garmin. Finally, register for the I-35 Challenge. When this page loaded, the official time was 12:32:52 PM EDT.